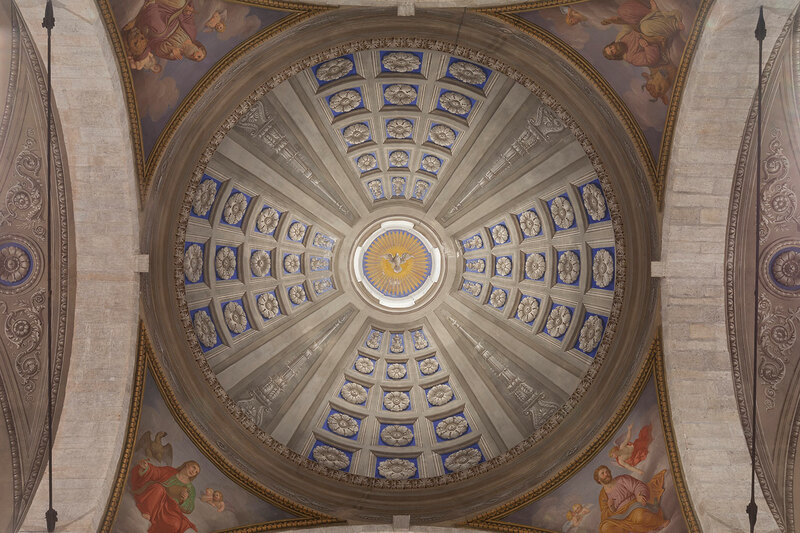 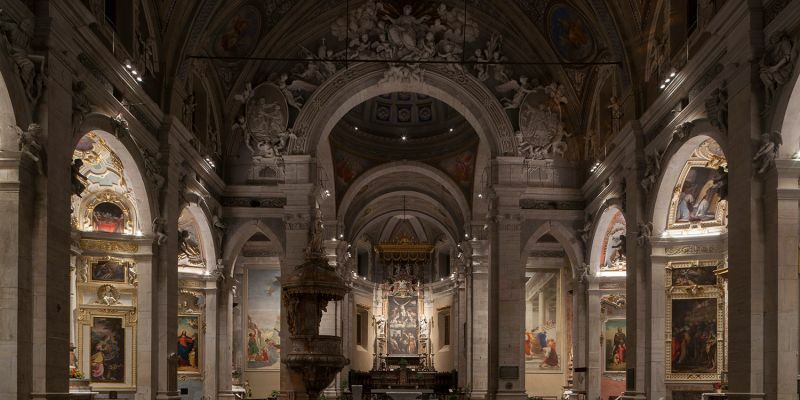 The Collegiate Church of Saints Peter and Stephen of Bellinzona, an important religious building dating back to 15th Century, is a structure with a highly religious and symbolic value but also an artistic and architectural one, thanks to the presence within of works of art of great value. 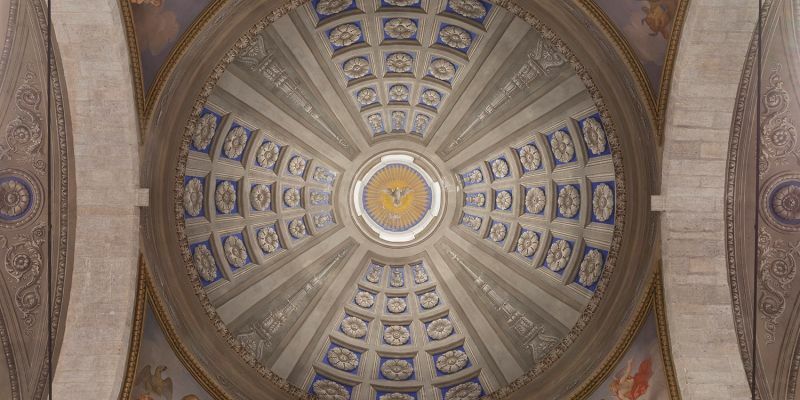 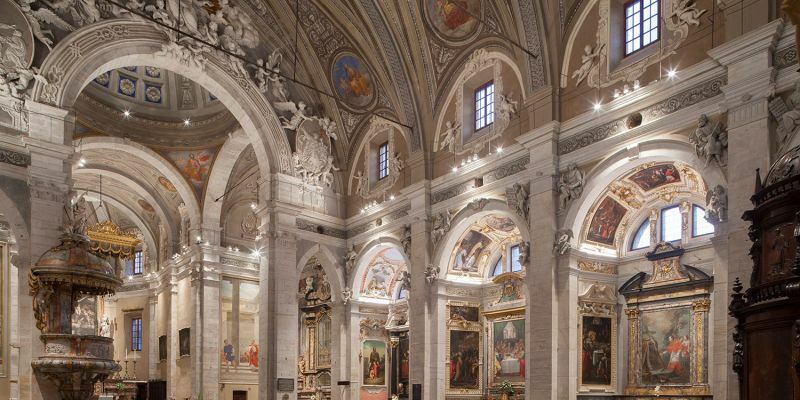 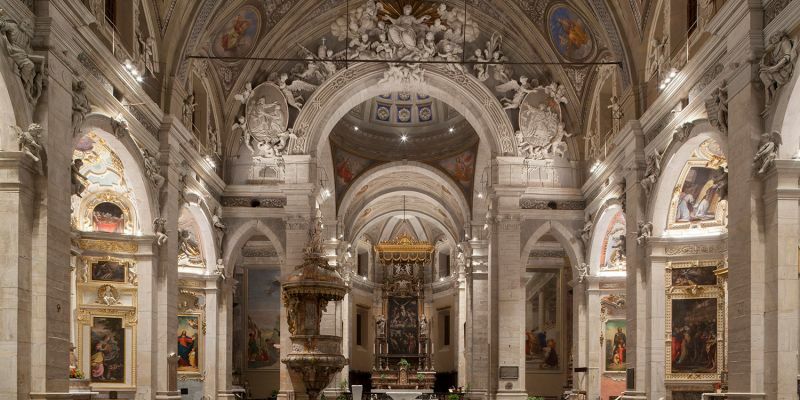 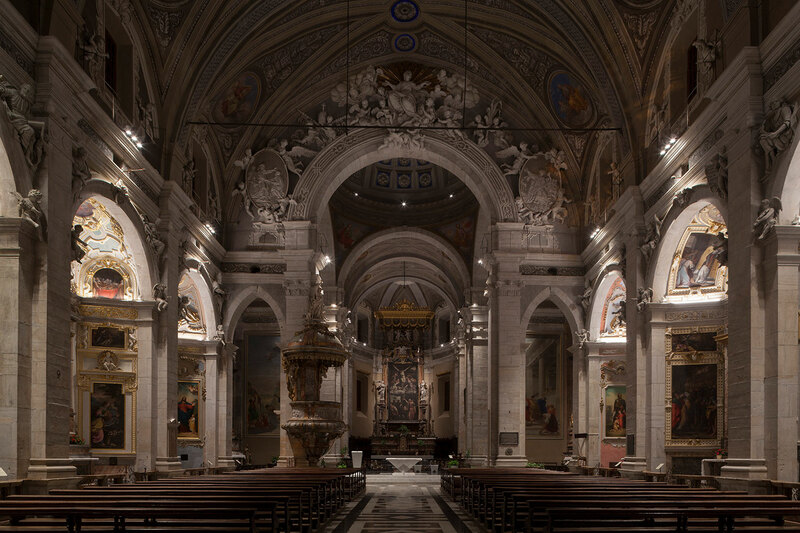 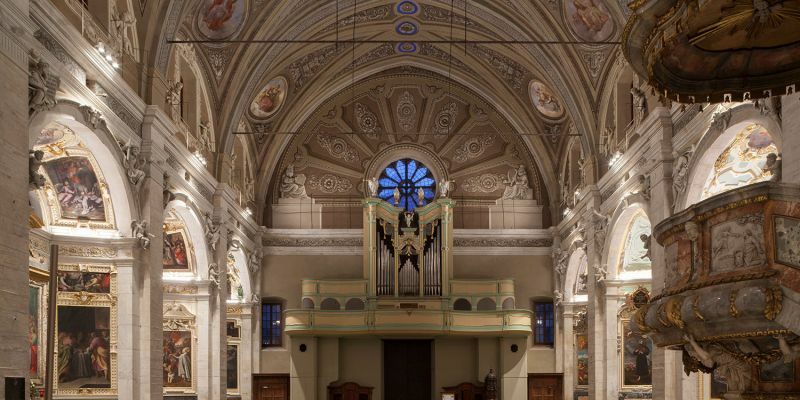 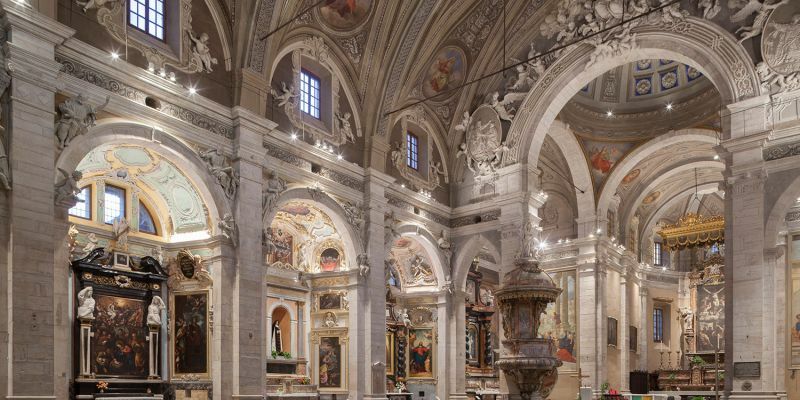 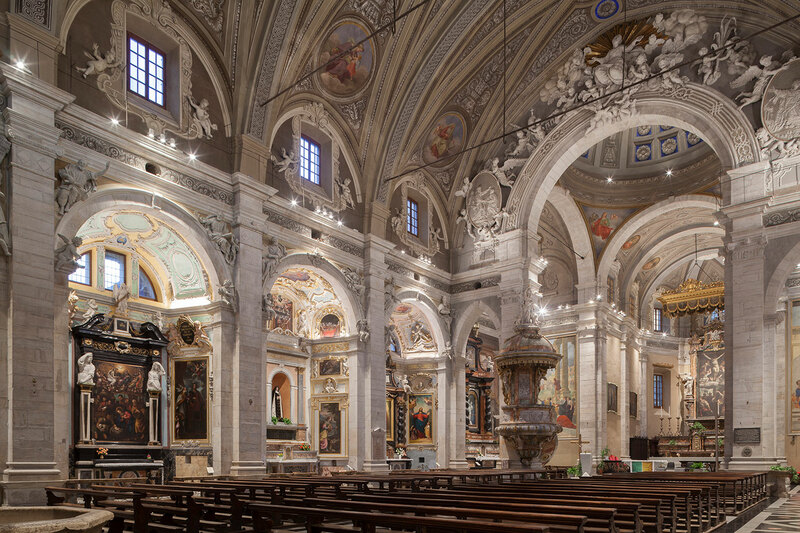 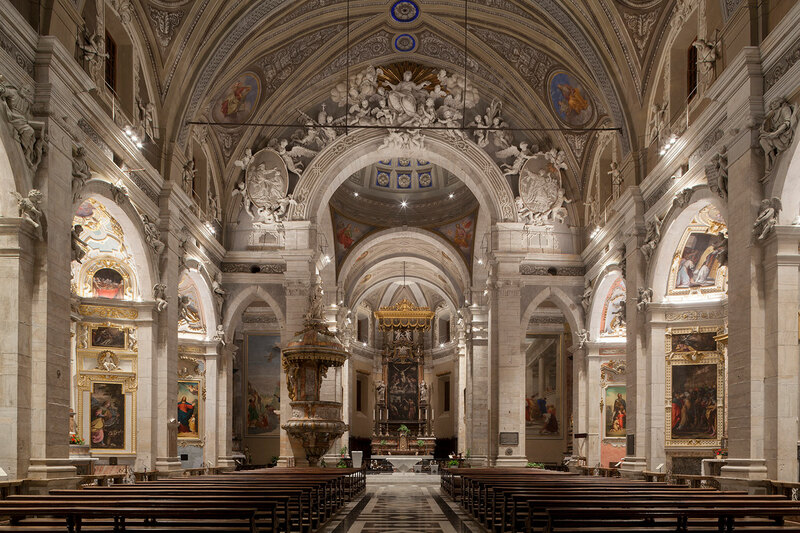 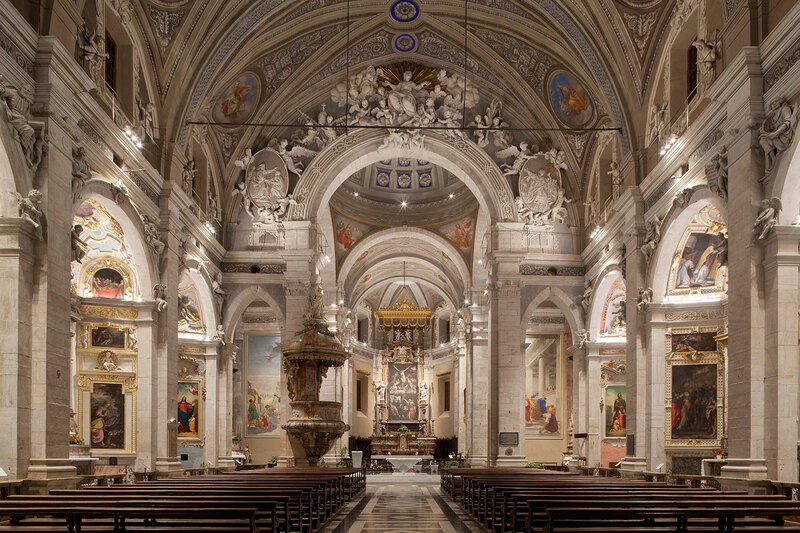 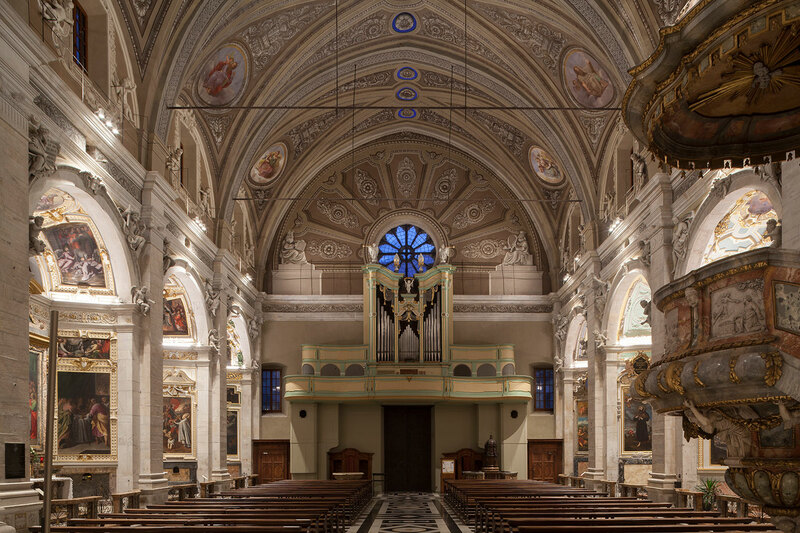 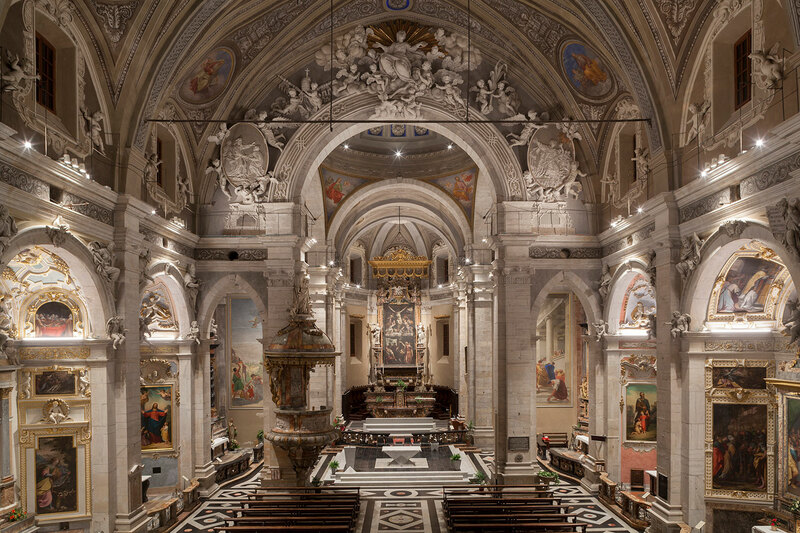 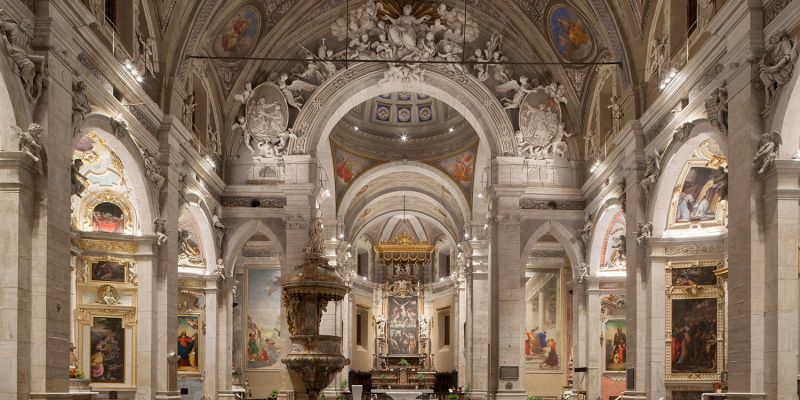 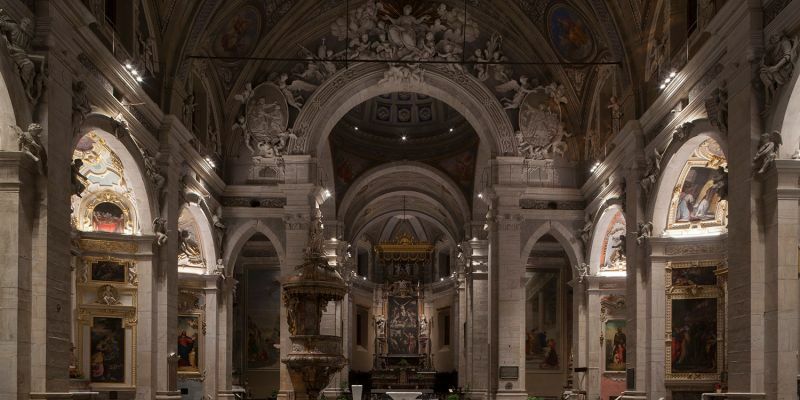 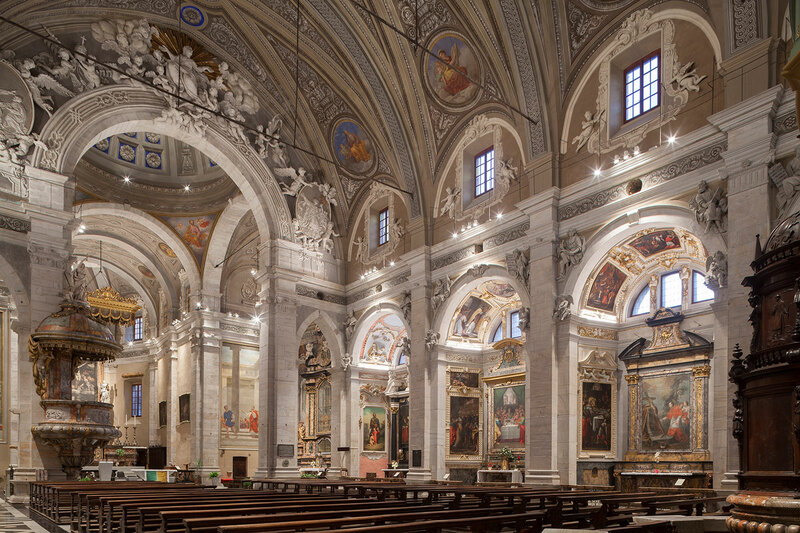 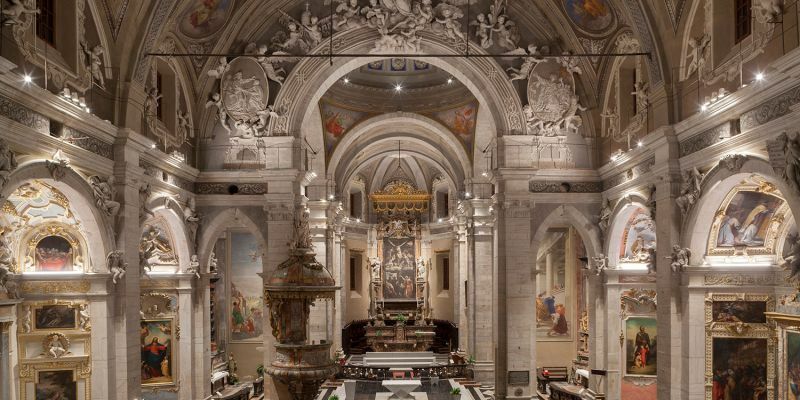 The lighting project takes into account and enhances all these aspects: the lighting fixtures don’t interfere with the architectural beauty of the Church and, at the same time, they enhance the most important art elements thanks to the light. 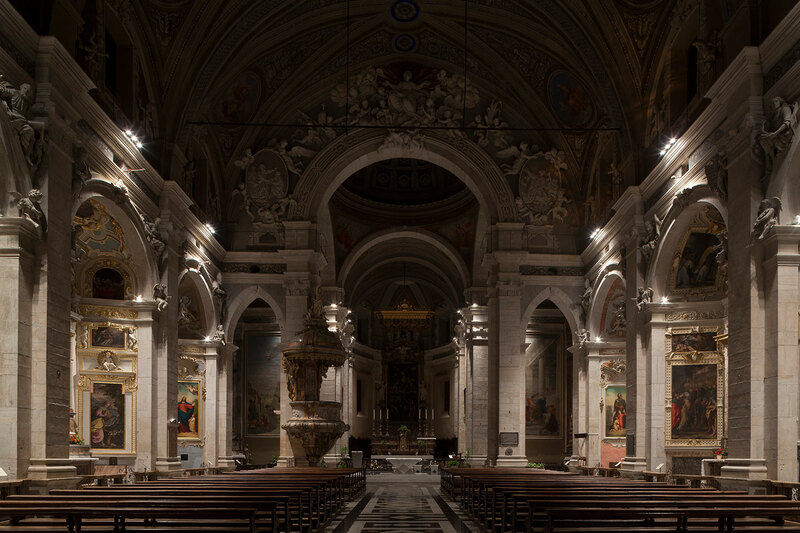 The employed lighting techniques are of direct lighting (along the aisle); indirect lighting (towards the vault); accent lighting (to enhance architectural details). 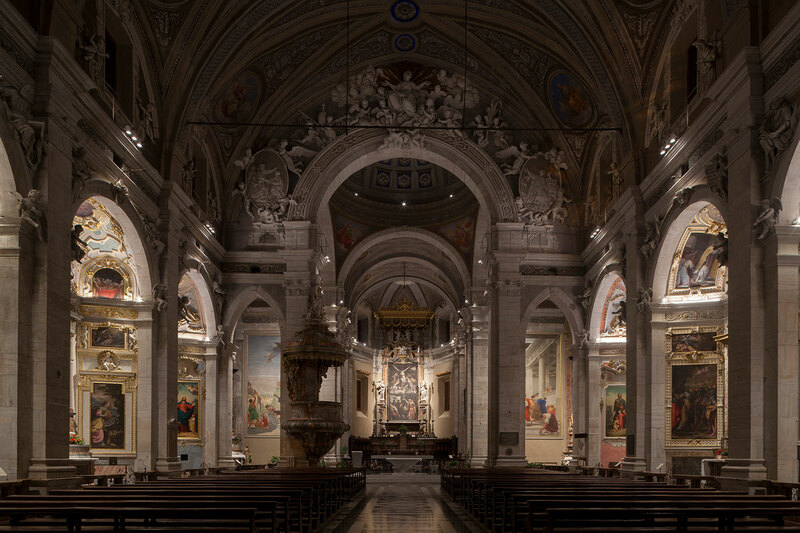 Moreover, to give depth and thickness to the side chapels, there is a component of indirect light, towards the vault, and one of direct light towards the friezes, the paintings and the statues located in the chapels. 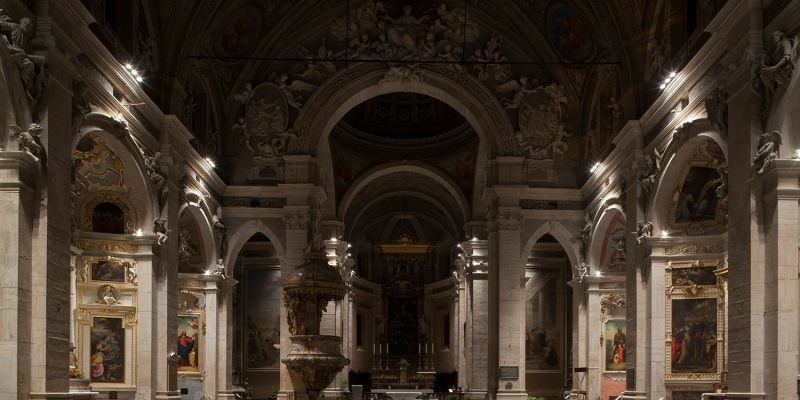 The power up of the lighting fixtures is declined in various lighting directions (service, weekdays, holidays, solemnities and sightseeing tours).